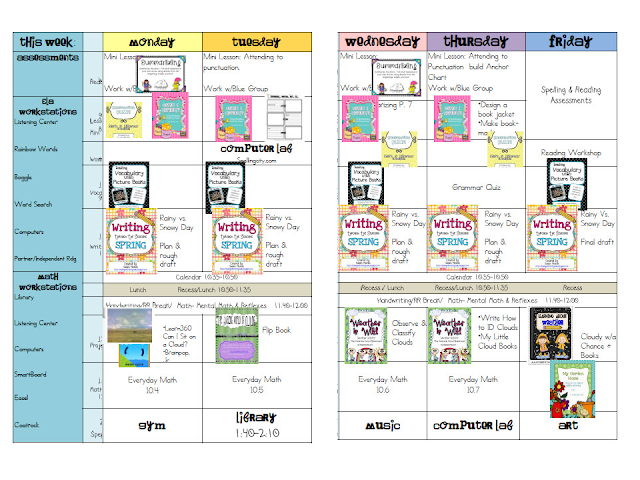 Primary Inspired: Visual Plans-- No Foolin'! I love these visual plans! So here are my plans for this week. . . Tons of freebies this week! Check out Summarizing, Contraction Bump, Classify & Categorize, the Weather Flip Book, & My Garden Home. All you have to do is click on the pic above, and you'll link up to the pdf with clickable links. I'm linking up with DeeDee Will's Peek at My Week Linky. Looks like a fun unit on weather and clouds for this week! Lots of fun activities! I finally got to look at your great lesson plans! Thanks for sharing links to the different resources, freebies and all!